X vs X: the world's most powerful smartphone faces off against Microsoft's six teraflop beast. Can mobile phone technology really deliver a convincing take on a game designed for PC, Xbox One and PlayStation 4? 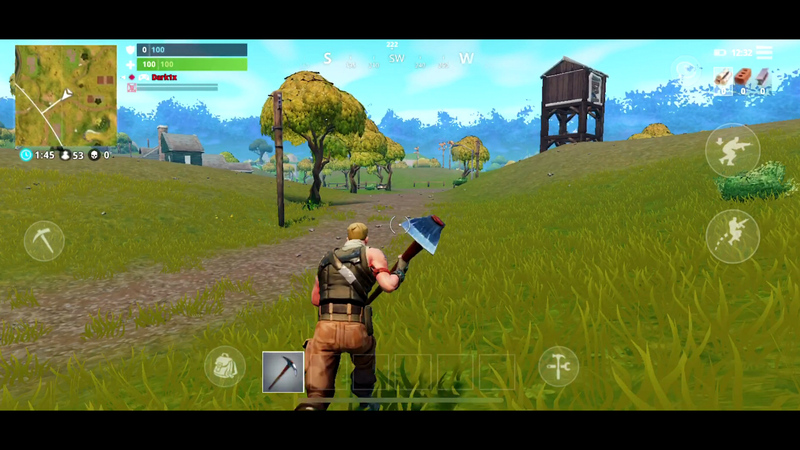 Some might say that Nintendo's Switch has already proven the point in several cases, but Epic's Fortnite on iOS is one of the best examples we've seen yet of a convincing convergence between mobile and console technology - in this X vs X face-off, it's fascinating to see just how close Fortnite running on iPhone X compares to the same game running on Xbox One X. Older iPhones? Well, you get a recognisable experience, but technologically, it's just not in the same ballpark. We've already seen PUBG running on mobile hardware - and to be fair, it's a reasonable approximation, but while the map is comparable, the visual cutbacks are such that in many cases, it looks like a different game altogether. 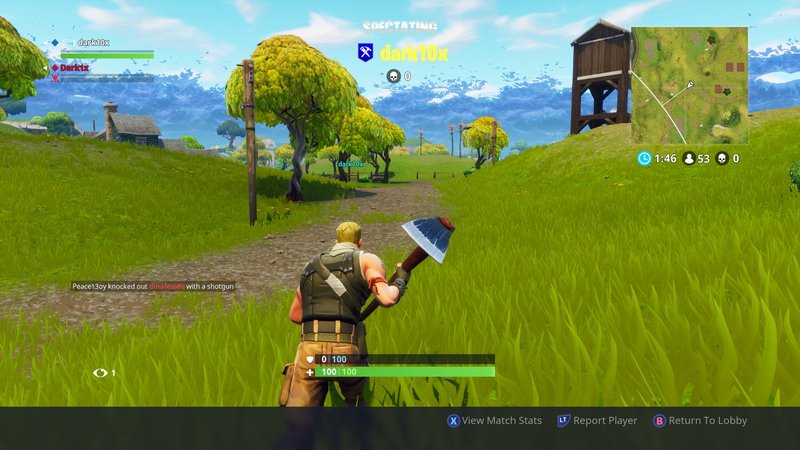 Not so with Fortnite: from the moment you fire up the game on the iPhone X, it's genuinely surprisingly how much this looks and feels like the established console release. The menus are mostly the same, the visuals remain similar and the map is identical. If you've been away from the console or PC version for a while, you might not even pick up on the differences at all. And then there's the cross-play. 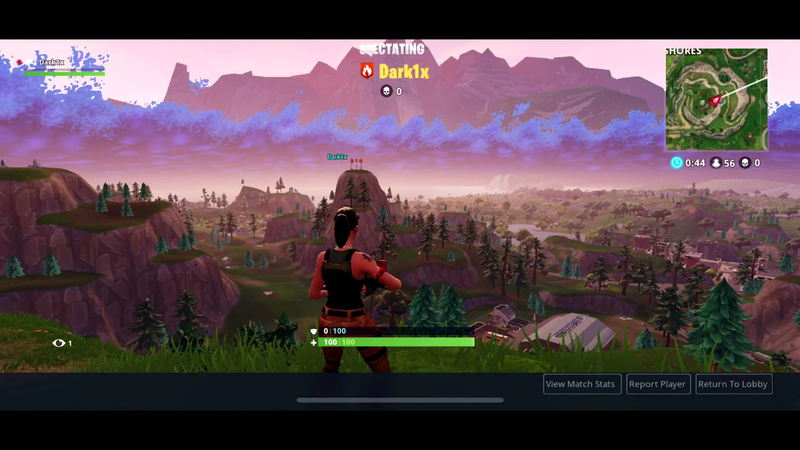 Fortnite on mobile has to offer a very similar experience to the established Battle Royale game on the other systems because it's possible for mobile gamers to join in with PC, Xbox and PS4 sessions - which is exactly how we got our comparison clips together for the video below. 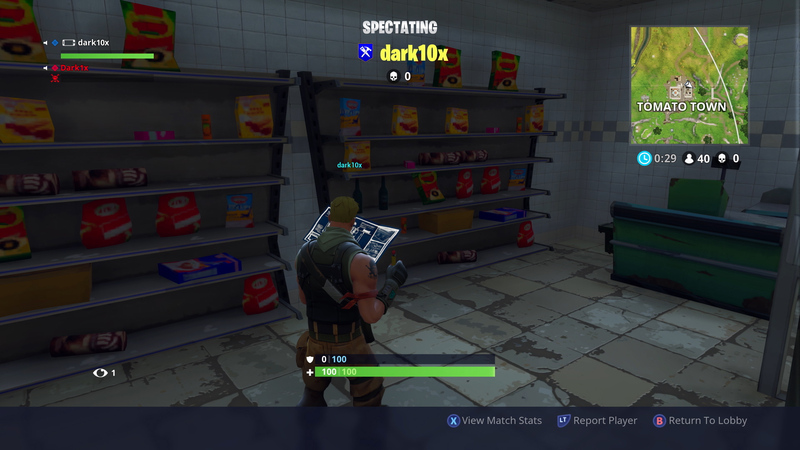 I joined forces with myself on Xbox One X, then went searching for a quick elimination. 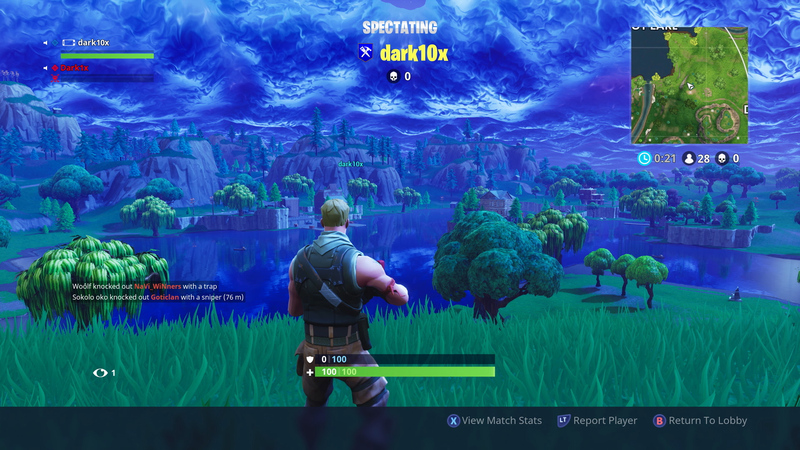 By removing my Xbox persona from the game, the spectator mode automatically switches to my teammate - me again, this time playing on iPhone X. The result? The same action captured twice in real-time, once on the iPhone, once on the Xbox One X in spectator mode. The initial view from the party bus paints a very positive picture with a detailed island sprawled out below the player, offering a very close match to the extreme detail seen on Xbox One X. Certainly, the geometry density is very, very similar but side-by-side, the differences begin to take shape. Firstly, there's an adjustment to field of view: the iPhone X's ultrawide display yields a much wider FOV, meaning you see much more of the playfield - though it is likely that your fingers will cover much of the additional real estate (the iPhone 8 has the same SoC as the X, but a more conventional screen aspect ratio, so it's likely to be a closer match to the Xbox presentation). 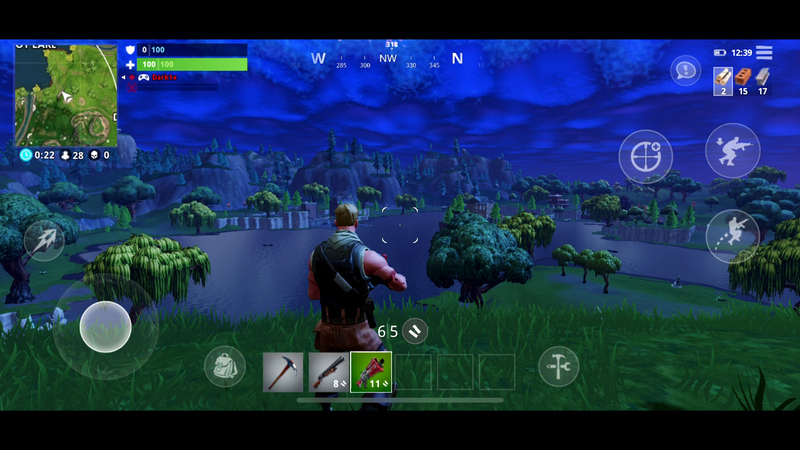 Yes, there are compromises and trades, but the iOS version of Fortnite running at its best is quite the technological marvel. The lighting is visibly reduced on the phone, while shadow map draw distance is pulled in massively. 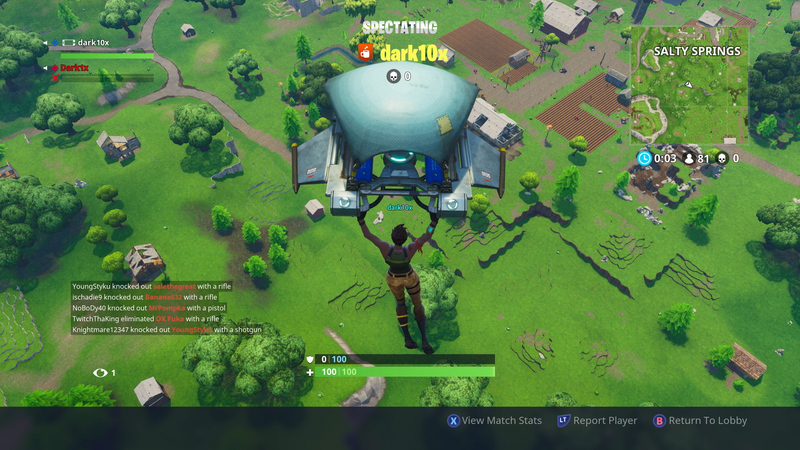 Fortnite's dynamic shadows tied to sun position run at 30Hz on the Xbox, but actually seem to update every five seconds or so on iPhone X. Foliage is replicated on the mobile phone, but it lacks a specular element, and isn't animated. 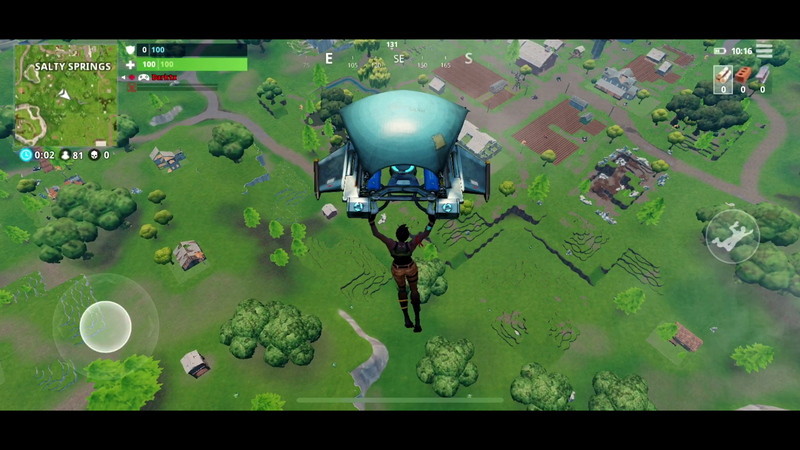 The lack of grass animation becomes most evident when moving outside of the storm wall - really, the whole visual impact of standing outside of the play area is reduced dramatically on mobile with the wind effects and lighting massively reduced in fidelity. Other changes are also made: ambient occlusion is missing, as are incidental point lights. The reduction in AO is especially noticeable while exploring interiors, which look quite stark by comparison, while the actual resolution of the shadow maps is also increased on Xbox. Screen-space reflections are also absent from water surfaces resulting in much less detail, especially apparent on the lake. These sacrifices quickly add up but then you remember that this is running on a phone, not the most powerful console hardware money can buy. And so despite these changes, compromises and cutbacks, much of its visual identity has been maintained - wandering through various towns and buildings reveals slight changes to geometry but the overall effect is remarkably similar. The animation is there, the density of objects is there and the game world is presented just as it is on console and PC. It really is the full experience in that sense, and the fact that it's all running on a handheld device - albeit one running the fastest mobile SoC on the market - is simply exceptional. As you descend from the Party Bus the limitations of the mobile version start to come into focus; aggressive LODs are in place and shadows are only drawn when near shadow-casting objects. 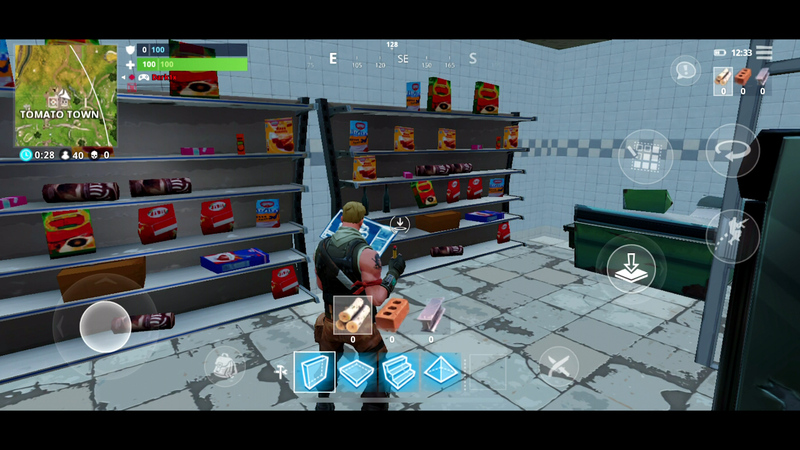 Lighting is reduced in quality on mobile. Point lights featured prominently on Xbox One X are absent and indirect lighting is all but eliminated. 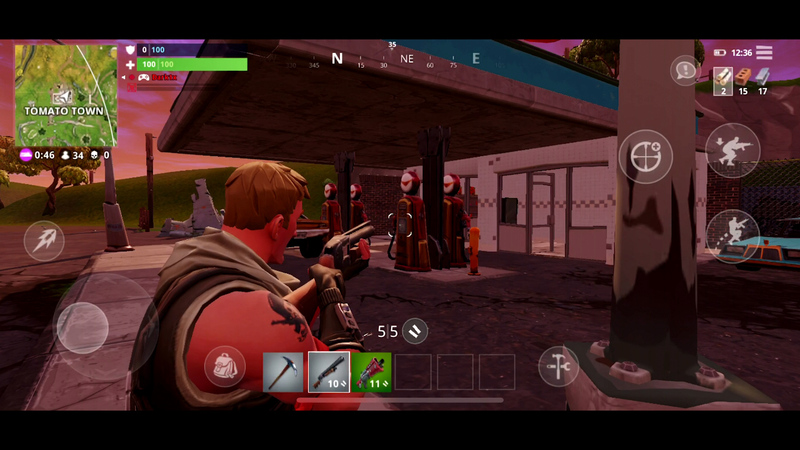 Screen space reflections are absent on mobile while the quality of the stormy skies above is reduced. The iPhone X version does at least feature a wider FOV. In the right conditions, the iPhone X version holds up reasonably well against its bigger brother. All of the aforementioned differences remain visible but the end result is still impressive. When standing outside of the storm wall, the mobile version relies on a strong vignette but ultimately falls short of the console version. While density is reduced, the addition of foliage on iPhone X helps create a visually comparable experience. The older iPhone 6S is completely lacking this feature. Interior, indirect lighting is downgraded significantly on mobile with a completely lack of ambient occlusion. Shadow map resolution is reduced on mobile while the soft rim lighting visible on objects in this scene is absent as well. Then there's performance. With only the most minor stutter, Fortnite on iOS runs at a locked 30 frames per second - with proper frame-pacing to boot, something we've not really seen before on a mobile game running at half-refresh (PUBG on Android's 30fps mode is nightmarish by comparison). There are frame-pacing hiccups from time to time but it's not a common enough occurrence to ruin the fluidity of the experience. For a large scale open world shooter, it's rather impressive to see how stable it is on the iPhone X; it feels like a properly smooth console-style experience. The PS4 and Xbox 60fps mode is off the table, but 30fps works well, especially bearing in mind the density of the visuals and the fact that we're looking at a bot-free 100 player Battle Royale. Targeting 30fps rather than running unlocked perhaps saves on battery life too - and that's a good thing. 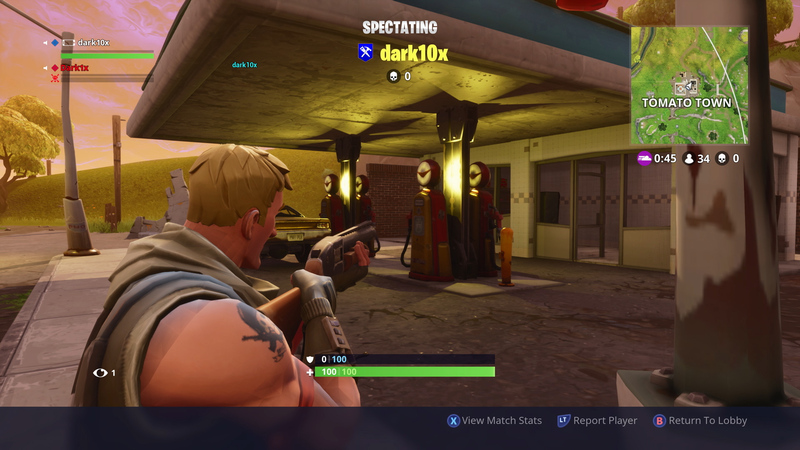 On the iPhone X, 90 minutes of Fortnite drained 75 per cent of the battery, which is something to bear in mind. 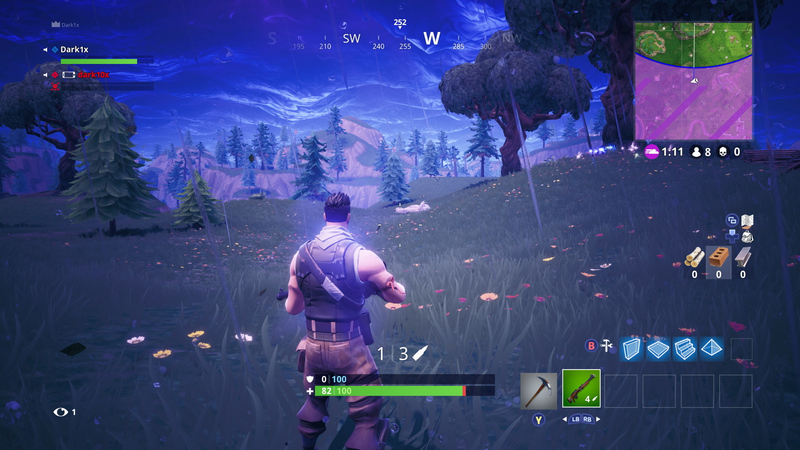 Eurogamer's Christian Donlan suggested that perhaps the target is battery life long enough to last the duration of a bus ride home from school, where the action can transfer over to the home console; the mobile version of Fortnite is likely to be a very popular game with younger gamers, after all. However, Fortnite's voracious appetite for battery power is worth factoring in for everyone else: similar to Pokémon Go, packing a portable charger is a really good idea if you're playing the mobile version for extended periods. Another factor to consider is that we tested the game on the latest Apple hardware. 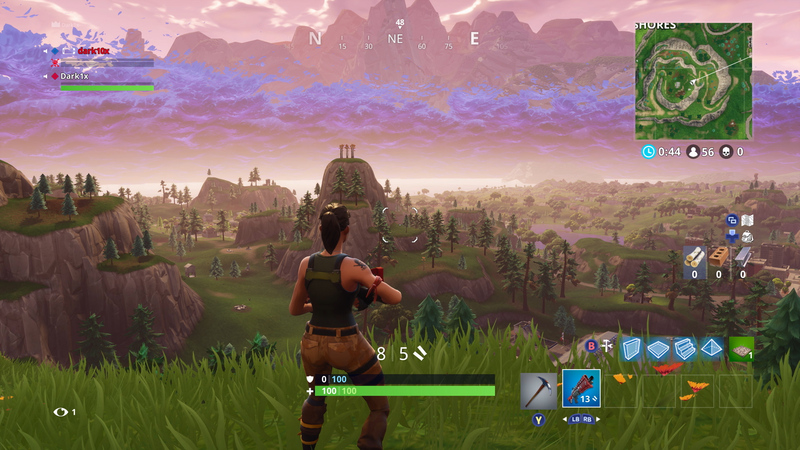 Fortnite's entry-level spec is an iPhone 6S or SE, using the Apple A9 processor. Based on gameplay captured from this 2.5-year-old chip, the reduction in fidelity is quite astonishing: texture quality and filtering are massively reduced, the lighting is stripped back, shadows disappear completely and performance no longer hits 30fps consistently. There's a resolution hit too - on the 6S, we noted a 70 per cent scaling compared to native display resolution, yielding a pixel count that's approximately 934x525. That's up against a circa-1461x665 on iPhone X - almost doubling the resolution. You get a playable, recognisable Fortnite experience on the 6S, but clearly it takes a lot more horsepower to get a game that can visibly compete with the existing console versions. Unfortunately, we didn't have an iPhone 7 for testing to get an idea of what the intermediate Apple A10 processor provides. Epic has managed to roll out an impressive 60fps mode for Fortnite on all consoles. Here's our deep dive analysis on that. If you step back and look at the big picture, Fortnite on mobile is an interesting game to consider. It makes a strong case for the flexibility of Unreal Engine 4, for starters. That the game can exist across so many platforms without sacrificing its identity is impressive: whether you're on PC, mobile or console, this is the same game fundamentally. It certainly suggests that a port to the Nintendo Switch is within the realms of possibility - and what a smart move that would be. The console hybrid may not have the latest and greatest mobile processor, but it does have unprecedented 'to the metal' CPU and GPU access and based on what we've seen here, a Switch port is surely inevitable. 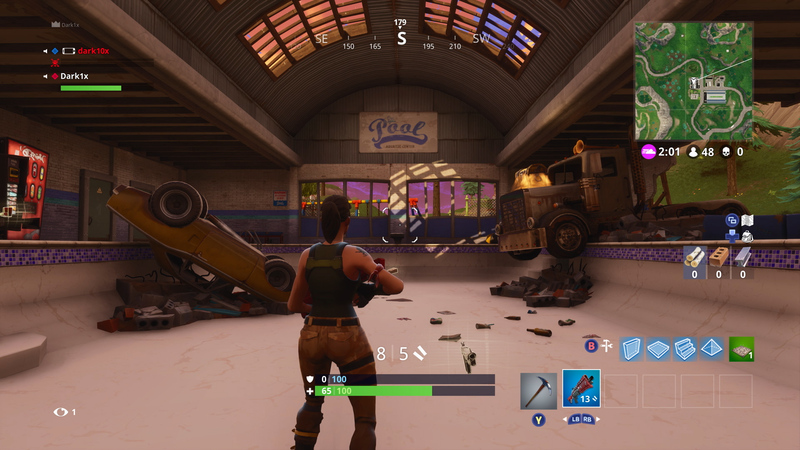 Fortnite is also an excellent showcase of cross-platform play. While mobile players might struggle to compete against console players without joypad support, it's great to know that gamers on consoles, PC and mobile phones can all join in and battle it out in the same match. It really works well. 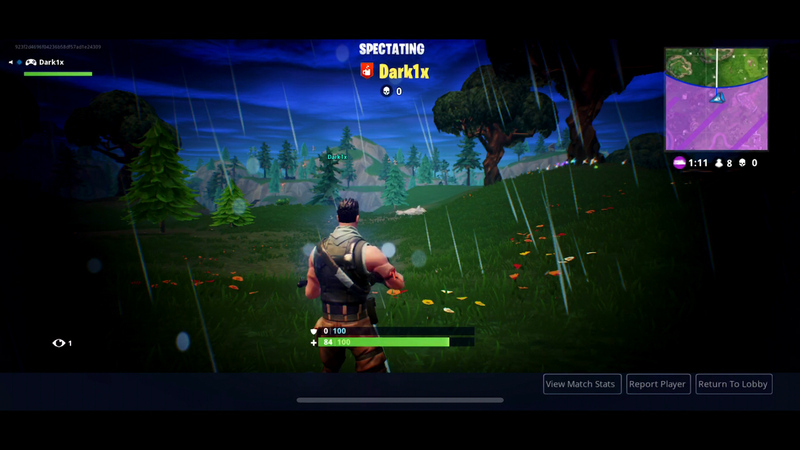 In fact, all of the iPhone X footage in the top video on this page was captured playing the game over LTE, just to ensure that Fortnite is indeed a fully viable on-the-go experience. Finally, Epic's latest works as an interesting demonstration of hardware evolution in the mobile space. The iPhone 6S was released two and a half years ago - which isn't a lot of time in the gaming world, but the two iterations of the game feel like a generation apart. If we go back and look at GFXBench scores for the 6S vs iPhone X, there's a circa 2.3x boost to GPU performance overall - Fortnite actually delivers that - and possibly more - via its vastly enhanced visual feature set, smoother performance and big resolution bump. So what's the verdict then? Well, clearly, sacrifices were made to bring Fortnite to iOS. Shadows, textures, shading and effects are all pared back to fit within the confines of the portable platform, but despite this, the port works. Perhaps some of the compromises are too heavy on the lowly 6S, but in common with many mobile games, the fact it's running on a smaller screen hides a lot of the cutbacks and trade-offs. 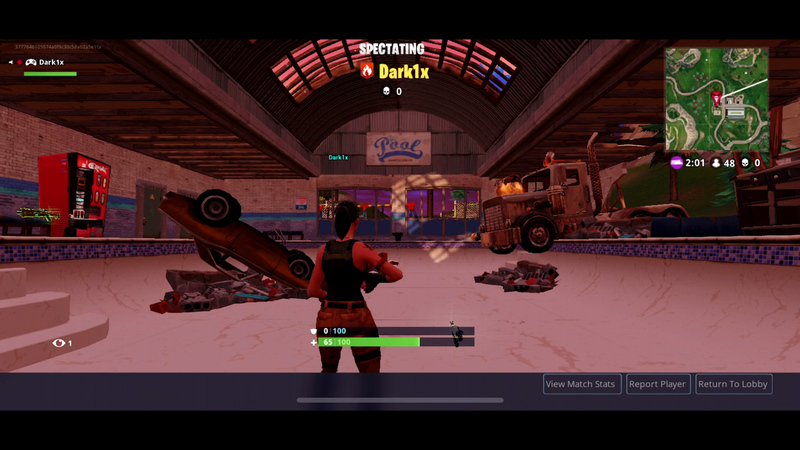 Overall, Fortnite's mobile iteration is an excellent rendition of the game and Epic deserves plenty of kudos for an exceptional port.